"User engagement" means different things to different online businesses. But everyone can agree that it’s a good thing: engagement indicates attention, interaction, and a pleasurable experience. 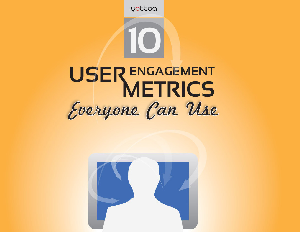 This free guide defines 10 critical user engagement metrics every business can use. Find out what each of these metrics indicates about your site’s user experience, and where your site stands among the wider web through benchmarks. All of these metrics can be found within free testing tools you likely use already, like Google Analytics and Websitetest.com. Start measuring your engagement today with free tools, step-by-step guidance & benchmark data for each metric!